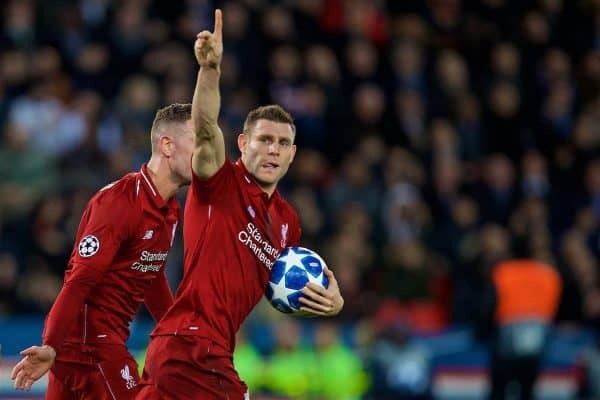 Liverpool failed to capitalise on a big opportunity as they fell to a 2-1 defeat to Paris Saint-Germain in their penultimate group game in the Champions League. 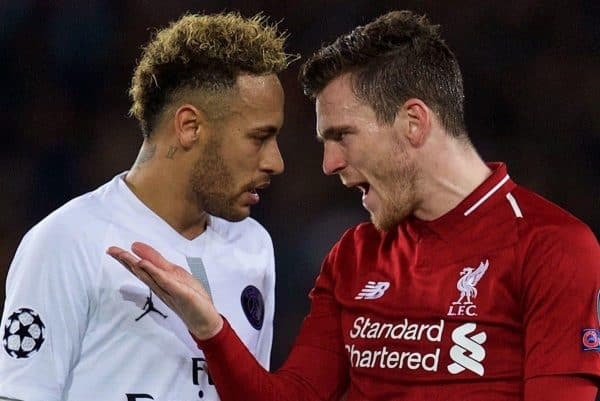 When the draw for the Champions League group stage was made back in August, the Reds’ trip to the Parc des Princes was one of the most hotly anticipated clashes of the round. The two sides’ previous results in Group C set up Wednesday night’s tie as an even more important one, with victory paramount for Liverpool and PSG as they both aim for the last 16. After a comfortable 3-0 win at Watford on Saturday afternoon, Jurgen Klopp made two changes to his side in Paris, with Joe Gomez and James Milner taking over from Trent Alexander-Arnold and Xherdan Shaqiri. This served as a more conservative setup for the away side, taking on a star-studded opponent featuring Kylian Mbappe, Neymar, Angel Di Maria and Edinson Cavani in attack. Liverpool sealed a 3-2 victory at Anfield in their last meeting, but this time around it wasn’t so comfortable. An end-to-end start played out in an impressive atmosphere in Paris, with Alisson tested early on by Di Maria’s dipping effort from outside the box. And with Marco Verratti pulling the strings in midfield, his passing play found an opportunity for Mbappe, whose shot was cleared only as far as Juan Bernat, who fired into the bottom corner on 13 minutes. Verratti arguably should have seen a red card for a late, studs-up challenge on Gomez, but the Italian avoided a sending off, as Liverpool grew into the game closer to the half-hour. But a lightning break for PSG soon gave the hosts another, with Virgil van Dijk and Alisson marooned as Neymar, Mbappe and Cavani all played their part with the Brazilian slotting in at the far post. With Liverpool threatening to limp out the game, a burst from Sadio Mane down the left saw the No. 10 win a penalty following Di Maria’s foul, and up stepped Milner to halve the deficit. Neither side made a change at the break, and PSG almost got off to the perfect start as Marquinhos beat his countryman Alisson, only to see his goal rightly chalked off for offside. The Reds enjoyed considerably more success as they focused their attacking play through Mane and Andy Robertson down the left, while Milner and Mohamed Salah kept pushing in central areas. Thomas Tuchel made a double change with 25 minutes to play as he introduced Dani Alves and former Stoke forward Eric Maxim Choupo-Moting, while Klopp opted to send on Naby Keita and Daniel Sturridge. 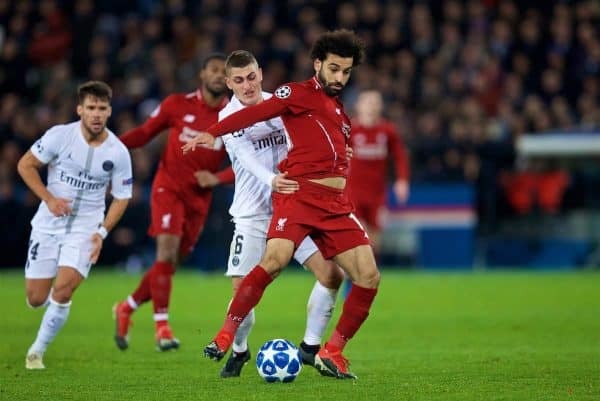 The Reds’ changes, including the later arrival of Shaqiri, did little to influence the game, however, as PSG’s resolute defensive approach limited opportunities. Liverpool now need to beat Napoli by two clear goals at Anfield on December 11 to ensure progress to the last 16 of the Champions League.